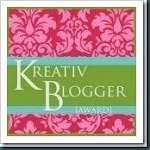 If I Can Do it Myself.....: A Kreativ Blogging Award! 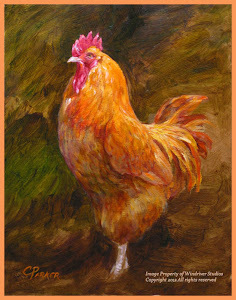 Jeanie of Cowgirl's Country Life as so graciously awarded this blog a Kreativ Blogging Award! Now what to say about myself? My favorite fiction book is "Gone with the Wind"
I have a brindle boxer named "Bentley"
I love Dean Martin for some reason. I'm great at shooting moving targets but horrible at hitting something that is standing still. "Good Fellas" is my favorite movie. Thank you Caribou! I want to thank all the little people for their help. I want to thank my mom and dad, because without them I wouldn't be here. Thank you once again for the award. P.S. I love Oreos too.